Acnecide contains benzoyl peroxide which attacks the bacteria (germs) known as Propionibacterium acnes, one of the main causes of acne. Acne can appear as blackheads and whiteheads which people often refer to as pimples or spots. Acne of the face, chest or back may be treated with Acnecide gel. Do Not used if you are allergic (hypersensitive) to benzoyl peroxide or any of the other ingredients of Acnecide. If no response occurs within four weeks the use, stop usig Acnecide and consult your doctor. Do not use continuously for longer than 3 months. Keep Acnecide away from contact with, mouth, angles of the nose or mucous membranes. If accidental contact occurs, rinse with water. 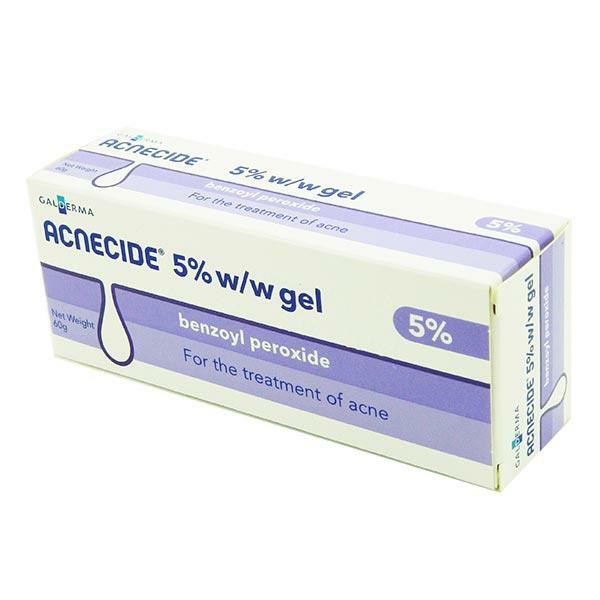 Acnecide contains Benzoyl peroxide and should not be used during extensive exposure to sunlight or ultraviolet light. Fair-skinned individuals are likely to be particularly susceptible to irritation. If undue redness or discomfort occurs when using Acnecide, stop use and consult your doctor. Acnecide may bleach hair and coloured fabrics. Concurrent use with PABA-containing sunscreens may result in transient discoloration of the skin. Due to the risk of sensitisation Acnecide gel should not be applied to damaged skin. Caution should be exercised when applying Acnecide Gel to the neck and other sensitive areas. During the first weeks of treatment a sudden increase in peeling will occur in most patients, this is not harmful and will normally subside within a day or two if treatment is temporarily discontinued. If severe irritation occurs, patients should be directed to use the medication less frequently, to temporarily discontinue use or to discontinue use altogether.